Bomber Command's campaign started on the very first day of the Second World War and ended within a few hours of the final victory in Europe five and a half years later. It was an attempt to win the war in Europe by strategic bombing on such an enormous scale that historians have only recently begun to piece together the finer details of the individual raids. There have been many books about Bomber Command, but Martin Middlebrook, the aviation historian, and his research colleague, Chris Everitt, were the first to compile a complete review of all the raids and the background stories to this fascinating campaign. They undertook the gargantuan task not only of documenting every Bomber Command operation but also of obtaining information from local archives in Germany, Italy and the occupied countries, on the effects of the raids. Little of this material had been published previously, and never before had the two sides of Bomber Command's war been brought together in this way. 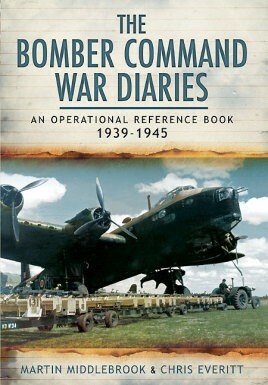 The Bomber Command War Diaries has become the standard basic work of reference on this extraordinary campaign. This edition includes retrospective observations and a new appendix.